Watch the Video from our 2018 Race! This is a chip timed race and USA Triathlon Sanctioned Event. Police will be located at all major intersections along with volunteers at key locations. Cones will mark a lane all the way round the course to enclose the athletes from any vehicles. There will be a Water Station located as athletes come out of transition and when they make their second loop. Course follows the trail around the lake of the community. Run Number Bib must be worn during the run portion of the race. The race will be through the beautiful new master-planned community of Woodtrace. 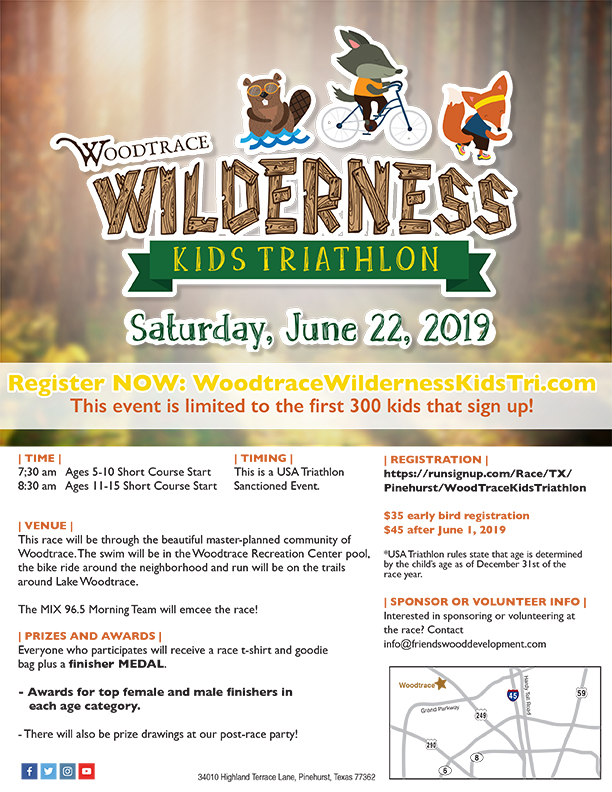 The swim will be in the Woodtrace Recreation Center pool, the bike ride around the neighborhood and the run will be on the trails (sidewalks) around Lake Woodtrace. The MIX 96.5 Morning Team will emcee the race! 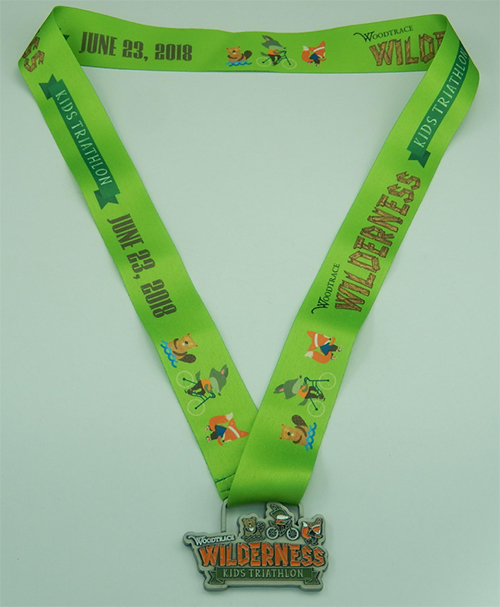 - There will even be prize drawings at our post-race party!